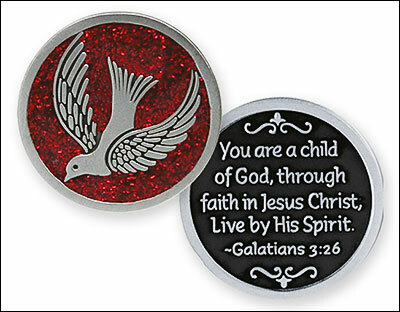 DIRECT FROM LOURDES - Confirmation Dove Enameled�Glitter Pocket Token. Confirmation Dove Enameled�Glitter Pocket Token. My confirmation dove glitter pocket token with a verse on the reverse. Size: 1 1/4" diameter pf pocket token.